At least I have a few cards ready already. 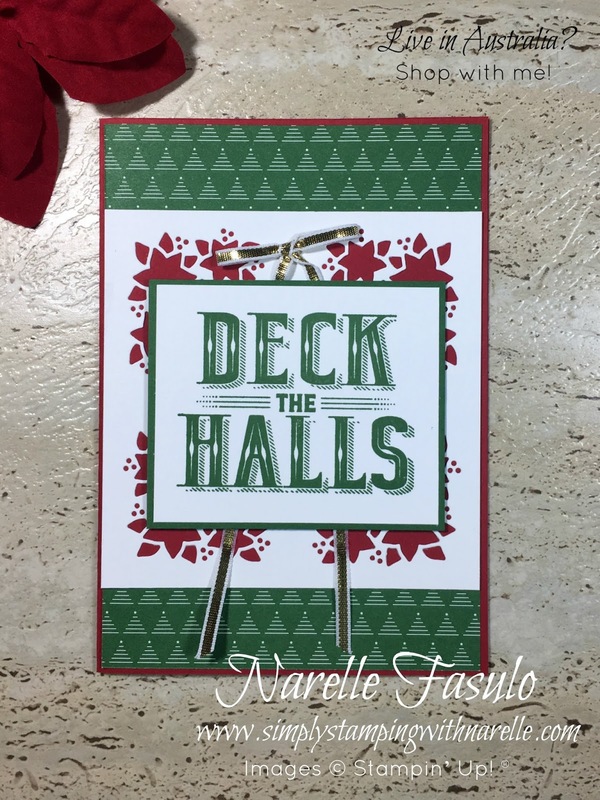 Last month I did a Carols of Christmas theme Stamping By Mail. Here are a couple of the cards. I just love the many varied looks you can get from the one stamp set and thinlits dies. 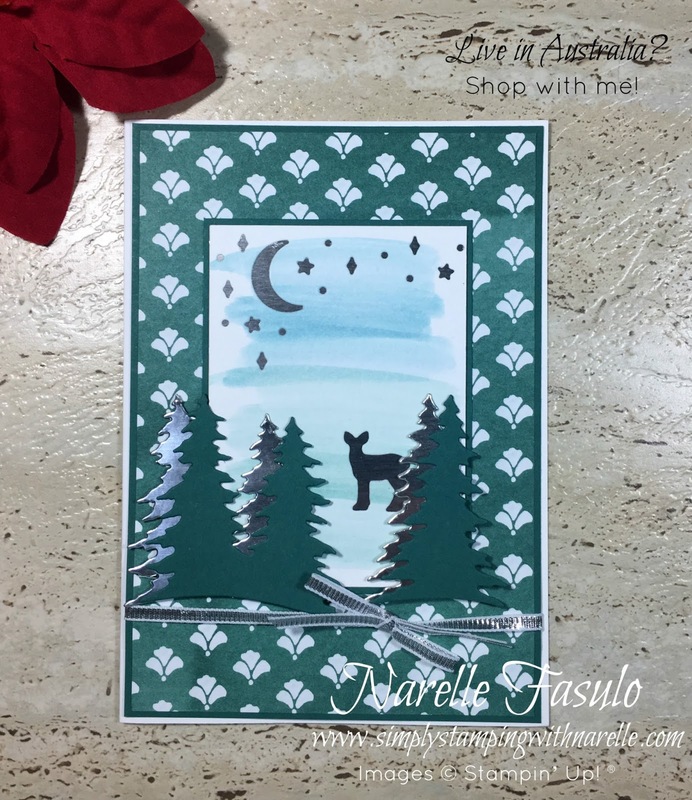 I did eight projects in the Stamping By Mail class, but I could of kept creating for a lot more. 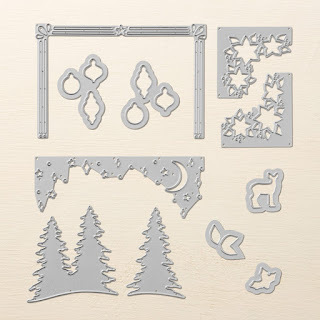 Here is the stamp set and thinlits in case you haven't seen them. If you buy them together as a bundle, you save 10%. 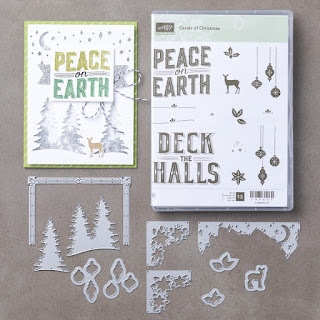 The Carols of Christmas Stamp Set. Available in clear (144804 $35) and wood mount (144801 $49). 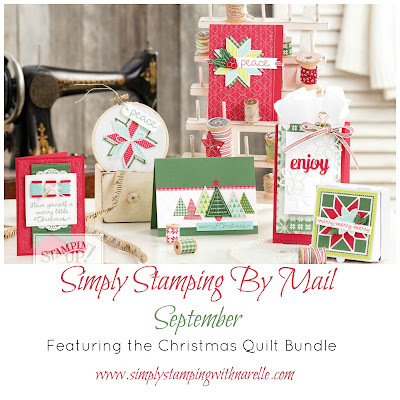 If you are interested in doing a Christmas Stamping By Mail class, then you will want to register for Septembers Christmas Quilt class. This bundle is proving to be very popular, so you want to get in quickly. 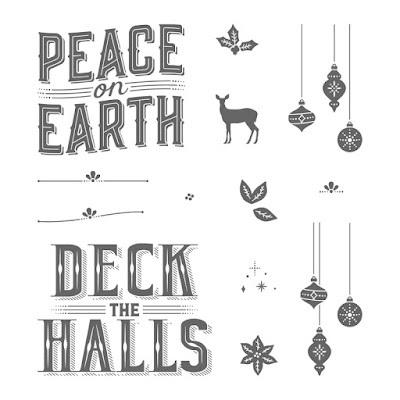 This bundle is very versatile and can be used for so much more than just Christmas.